It smells so good! Not sure it's super moisturizing, but it's nice. Lever soaps has always been a staple for my hypiene needs. I use it daily during baths /showers! 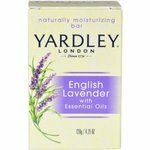 It feels very moisturizing on the skin with a soft pleasant fragrance which i prefer over high scented soaps. It doesnt melt very fast and get messy on my bathroom shelf either and lasts a bit longer. Literally the best Aloe Vera soap out there!!!!!! It helped me so much with my sunburns, it has a great scrubbing agent that exfoliate the skin effectively and makes it really soft and smooth, Also, it contains Aloe Vera so it's scrubs and moisturizes at the same time, or you can rub Aloe Vera jel on yourself after using it ( just do whatever makes you comfortable) for me it worked amazingly both ways. Aloe Vera is known for it's many benefits for hair and skin, I didn't use it on my face as I'm using something else and I didn't want to confuse my skin haha! But I'm pretty sure it will work as effectively as it did for my body. I go threw 8 bars a month. I can't figure why the soap doesn't last. I wonder if anyone else has the same problem as me. I go threw 96 bars a year! This is one of my favorite bar type soaps. I don't use Lever often but when I do I tend to purchase this scent. I like the relaxing feeling I get after showering with this soap the aloe does wonders on my skin. Effectiveness After I use Lever 2000 I actually feel cleaner then when I use bottle soap even though I find bar soap to be irritating to use I think it works better especially with the aloe it makes it very healthy for your skin. If you are skin conscious like me then I really recommend using this to help repair your damaged skin after using it for a week straight I felt a great improvement of the softness of my skin and its also great to use to wash your face it really exfoliates the pores. Scent The smell is very refreshing and surprisingly long lasting after my morning shower I feel exhilarated . I would say that the scent of the soap is unisex and would work great for both men and women. The scent of this soap is really good and it leaves me feeling really clean. 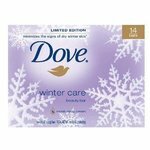 I find it for a good price and it is my first choice for soap every time I need some. I get it in packages with multiple bars so that I always have at least one bar on hand. It is good for men and the smell is a masculine scent. The smell of the soap is much different than other soaps I have used in the past. It works as a whole body soap in the shower. It can also be used as a hand soap for the sink if you would like to. Effectiveness I always feel clean after I use it. Even after I've been doing a lot of stuff during the day and get sweaty, it still gets me clean. It is very easy on the skin too. The aloe in the soap leaves skin soft and refreshed. Scent I really like the smell of this soap. It also fills the bathroom with the scent so the entire room smells good. It is also a really good scent for men, instead of being flowery or feminine. I find the smell to be the part of the soap that sets it apart from other soaps with more generic smells. I like to try out different soaps all the time. I usually stick to body washes but every now and then I will try out a bar of soap. When I saw Lever 2000 Bar Soap with Aloe in my local store, i decided to try it out because it was a very reasonable price. It is easy to spend a lot of money on a small amount of bath soap, so I could not pass up this deal. I was actually pretty surprised by this bar of soap. It lathers really well in my wash cloth and it is soft. I love that after I rinse my body off I feel really clean. With some bar soaps I have tried, I do not feel clean because they leave a filmy residue on my skin. This soap has also helped with my dry skin. I am sure it is beneficial to your skin because of the aloe in it. I have noticed that this bar of soap lasts a little longer than some others that I have tried out. It did not "melt" as much in the shower like the other ones. Effectiveness This soap works great for me. It leaves my skin feeling clean and soft. Scent The scent is my least favorite thing about this soap. It's not that it smells bad, it just is not as "girly" as I like my soap to smell. However it does smell really fresh and clean. 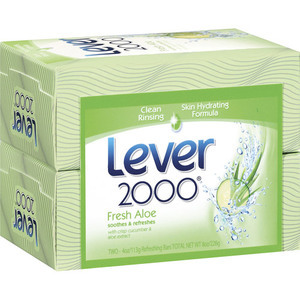 I really like Lever 2000 bar soaps and the one with Aloe is a nice addition to the product line. I have pretty dry skin and this soap does not leave my skin dry, itchy, or tight feeling at all. It leaves my skin nice and smooth and clean feeling. I also have to say that I absolutely love the price tag on the Lever 2000 aloe soap! I can buy an entire 12 pack of this stuff for the same price as some other soaps costs for 2 bars! It lasts a while too and doesn't leave that soap residue in the soap holder. Effectiveness Cleans my skin exceptionally well and leaves me smelling wonderful and clean. 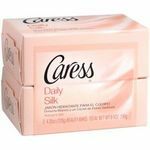 Takes care of all and any body odors and does not leave a soap residue on my skin. Does not dry my out at all, leaves it nice and smooth and clean. Scent Lever aloe bar soap has a pretty light scent. There is the normal soap scent that I think is in most soaps and then a nice light aloe scent. It's not overwhelming or overpowering, just enough to make it smell nice. This lever two thousand bar soap with aloe is one of the most amazing things in my bathroom. I can't believe that it is so cost efficient. It is also way better than regular old body wash. With this lever two thousand bar soap with aloe, you end up saving a lot of time and money versus buying hand soap and body wash. That is one of my favorite things about this bar soap is that it doubles as hand soap and body wash too! 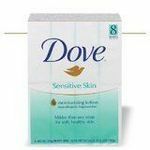 Effectiveness Not only does this lever two thousand bar soap with aloe not cause dry skin, it also prevents it! I normally use this off and on during winter and summer because in winter it helps me prevent the dry, chapped skin and dry skin but also helps with too much sun and sunburns in summer. Scent They scent that the creators of this amazing, incredible bar soap came up with is perfect for everyone in my house and everyone who comes into my house. It is not girly or manly, it is just a right in-between smell that is ideal for multi-gender usage, and has a nice, clean, I just washed up smell!